MAKE UP FOR EVER's new Artist Acrylips Lip Paints are full-coverage liquid rouges have been so fun to play with. 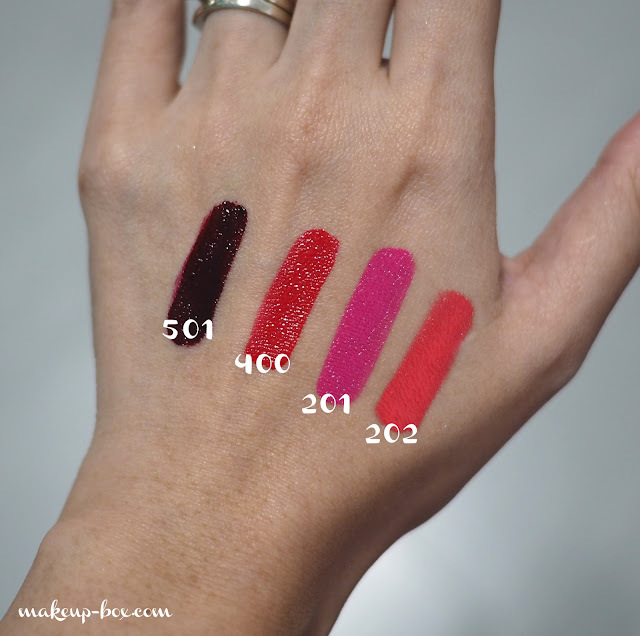 They do remind me very much of Too Faced Melted Lipsticks, as well as OCC Lip Tars (although these have the added benefit of not separating in the tubes). These come in squeeze tubes with flocked applicators just like Too Faced Melted Lipsticks. They are a lightweight cream texture with sheen, and I really enjoy how weightless they feel on the lips. You don't need to apply a lot for vibrant color, and these don't feel tacky or sticky at all. I found it quite easy to apply these straight from the tips without having to use a brush, although you might still need a lip pencil to prevent bleeding into fine lines around the lips. To be fair though, I have not experienced very much bleeding with these but it always helps to be safe. I shot two lip swatches here for demonstration. 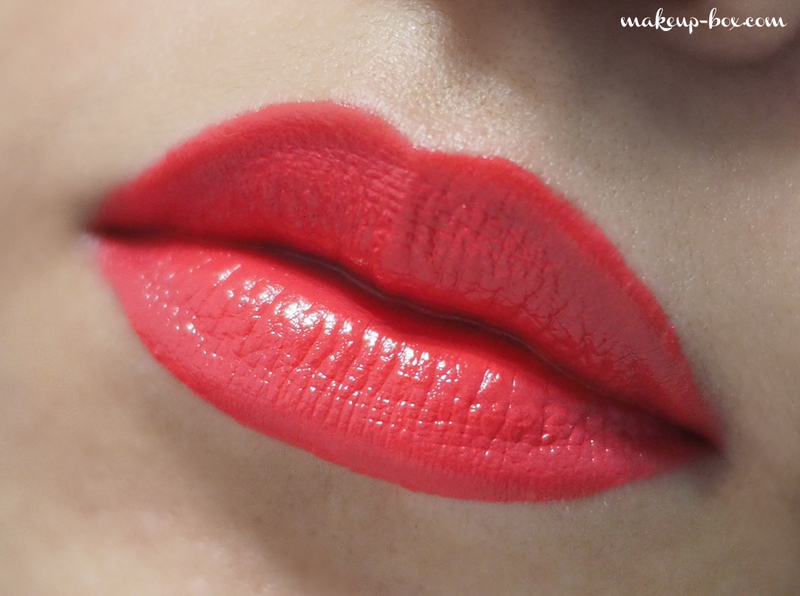 202 is a bright coral which I wore opaque without liner or base. The colors generally cover the surface evenly and are not streaky or patchy. The other way I've been wearing a couple of the shades is sheered out like below. 501 is a deep dark vampy noir shade which I can apply full on for a dramatic look. But I actually also enjoy wearing it sheer for a deep berry-tinged effect. You can achieve this soft-edged effect by applying a small amount of product to the center of your lips, pressing them together, then using your ring finger to tap-tap-tap and spread the color outward. You can leave most of the color concentrated in the center for an ombre bitten-lip effect, or just spread it evenly for a deep flush like this. Spread and sheered out this way, the edge seldom bleeds because there is no excess product. This is true of most creamy lip products. This sort of softened-matte look is very fashionable at the moment. (Take a look at the Burberry Lip Velvet ads.) I just like the switch to a softer, less-severe look. If you'd prefer a liner beneath, use a flesh-toned one so you don't end up with the same hard edges. 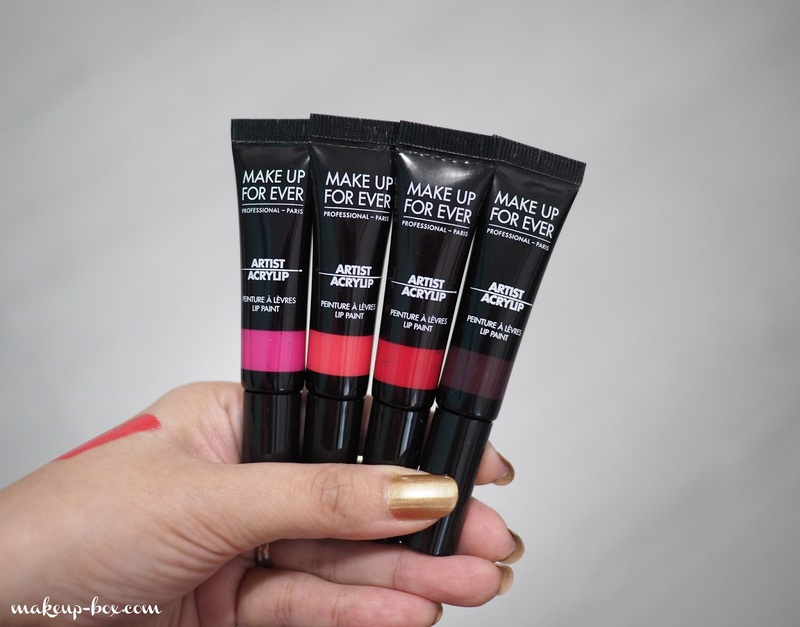 MAKE UP FOR EVER Artist Acrylip Lip Paints retail at SGD$33 in all Sephora stores in Singapore. Some shades are dark and some are cool..
your post have good collection please share more one thank you..